Editor’s note: Stefano Bastianon is Associate Professor in European Law at the University of Bergamo and lawyer admitted to the Busto Arsizio bar. He is also member of the IVth Division of the High Court of Sport Justice (Collegio di Garanzia dello sport) at the National Olympic Committee. Editor's note: We (Ben Van Rompuy and Antoine Duval) are at the origin of today's decision by the European Commission finding that the International Skating Union's eligibility rules are contrary to EU competition law. In 2014, we were both struck by the news that ISU threatened lifetime ban against speed skaters wishing to participate in the then projected Icederby competitions and convinced that it was running against the most fundamental principles of EU competition law. We got in touch with Mark and Niels and lodged on their behalf a complaint with the European Commission. Three years after we are pleased to see that the European Commission, and Commissioner Vestager in particular, fully embraced our arguments and we believe this decision will shift the tectonic structure of sports governance in favour of athletes for years to come. Today is a great day for Mark Tuitert and Niels Kerstholt, but more importantly for all European athletes. The European Commission did not only consider the International Skating Union's eligibility rules contrary to European law, it sent out a strong message to all international sports federations that the interests of those who are at the centre of sports, the athletes, should not be disregarded. This case was always about giving those that dedicate their lives to excelling in a sport a chance to compete and to earn a decent living. The majority of athletes are no superstars and struggle to make ends meet and it is for them that this decision can be a game-changer. However, we want to stress that this case was never about threatening the International Skating Union’s role in regulating its sport. And we very much welcome the exceptional decision taken by the European Commission to refrain from imposing a fine which could have threatened the financial stability of the International Skating Union. The International Skating Union, and other sports federations, are reminded however that they cannot abuse their legitimate regulatory power to protect their economic interests to the detriment of the athletes. We urge the International Skating Union to enter into negotiations with representatives of the skaters to devise eligibility rules which are respectful of the interests of both the athletes and their sport. Since the summer of 2014, it has been our honour to stand alongside Mark and Niels in a 'David versus Goliath' like challenge to what we always perceived as an extreme injustice. In this fight, we were also decisively supported by the team of EU Athletes and its Chance to Compete campaign. Finally, we wish to extend a special thank you to Commissioner Vestager. This case is a small one for the European Commission, but Commissioner Vestager understood from the beginning that small cases do matter to European citizens and that European competition law is there to provide a level playing for all, and we are extremely grateful for her vision. FIFA’s provision on the protection of minors - Part 2: The 2009 reform and its aftermath. By Kester Mekenkamp. Editor’s note: Kester Mekenkamp is an LL.M. student in European Law at Leiden University and an intern at the ASSER International Sports Law Centre. This blog is, to a great extent, an excerpt of his forthcoming thesis, which he shall submit in order to complete his master’s degree. This is the second part of a three-piece blog on FIFA’s provision on the protection of minors, Article 19 of the Regulations on the Status and Transfer of Players. The contribution in its entirety aims to provide an encompassing overview of the rule’s lifespan since its inception in 2001. The previous (first) part has shed light on the “birth” and “first years” of the provision, and as such illustrated the relevant developments from 2001 till 2009. This second part covers the rule’s “adolescent years”, which span from 2009 to the present. The major changes put forward in the 2009, 2015 and 2016 versions of the RSTP will be addressed. Thereafter the important CAS decisions concerning Article 19, Muhic, Vada I and II, FC Barcelona, RFEF, and the FIFA decisions relating to Real Madrid and Atlético Madrid, will be scrutinized. The third, and final, part will constitute a substantive assessment of the provision under EU Internal Market law. FIFA’s provision on the protection of minors - Part 1: The Early Years. By Kester Mekenkamp. Editor’s note: Kester Mekenkamp is an LL.M. student in European Law at Leiden University and an intern at the ASSER International Sports Law Centre. This blog is, to a great extent, an excerpt of his forthcoming master thesis. 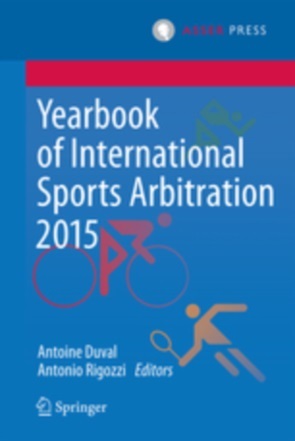 Editor’s note: Josep F. Vandellos is an international sports lawyer associated to RH&C (Spain). He is also a member of the Editorial Board of the publication Football Legal and a guest lecturer in the ISDE-FC Barcelona Masters’ Degree in Sports Management and Legal Skills. Article 6 of Annexe IV (Training compensation) of the FIFA-RSTP (Ed. 2016) contains the so-called “Special Provisions for the EU/EEA” applicable to players moving from one association to another inside the territory of the European Union (EU) or the European Economic Area (EEA). 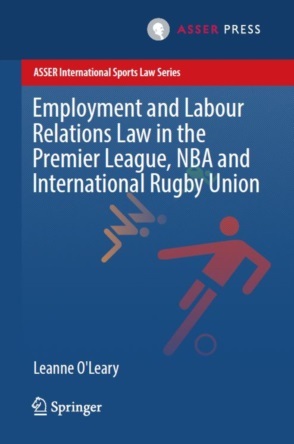 The provisions regarding training compensation result from the understanding reached between FIFA and UEFA with the European Union in March 2001, and subsequent modifications introduced in the FIFA-RSTP revised version of 2005 to ensure the compatibility of the transfer system with EU law.